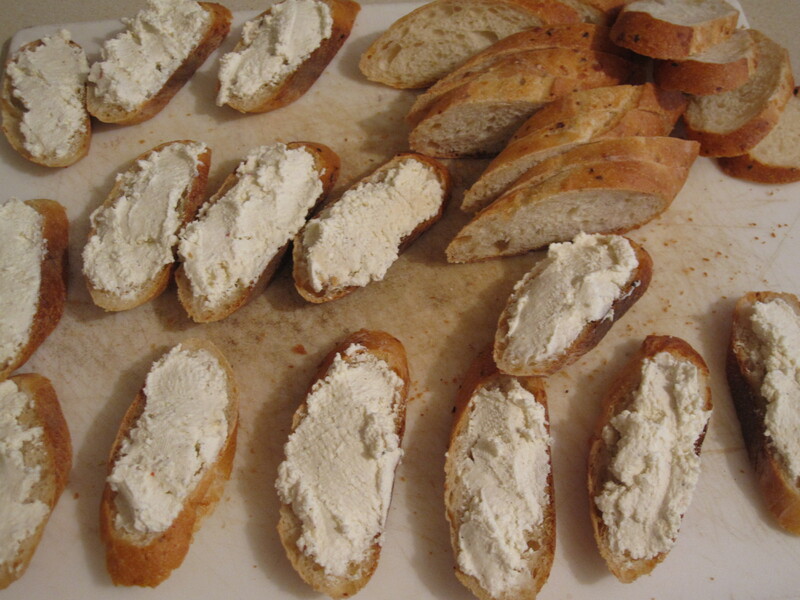 The mixture of weak curds was pretty similar to a ricotta but thicker. I added salt, pepper, garlic powder, and a few red pepper flakes to the spread. 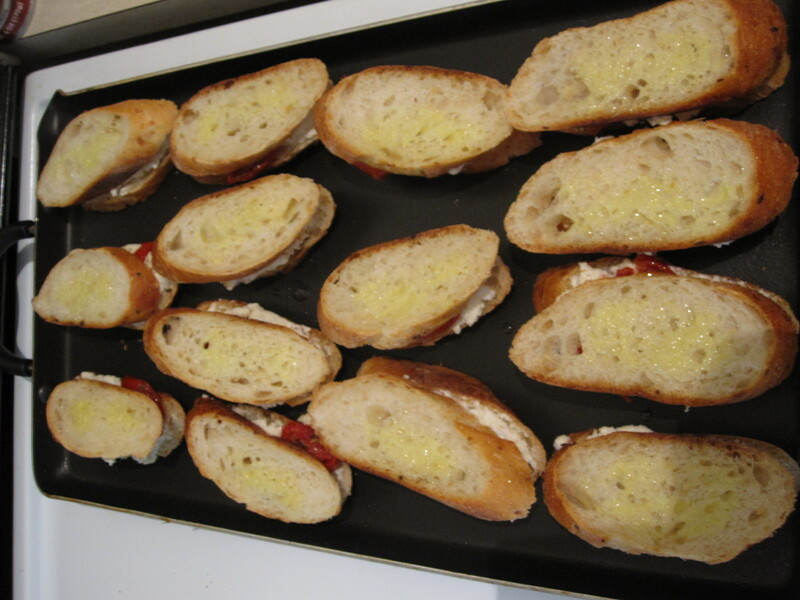 Here it is being used as it’s namesake, a spread on a diagonally cut baguette. I oiled a griddle pan and put the cheesed breads down. 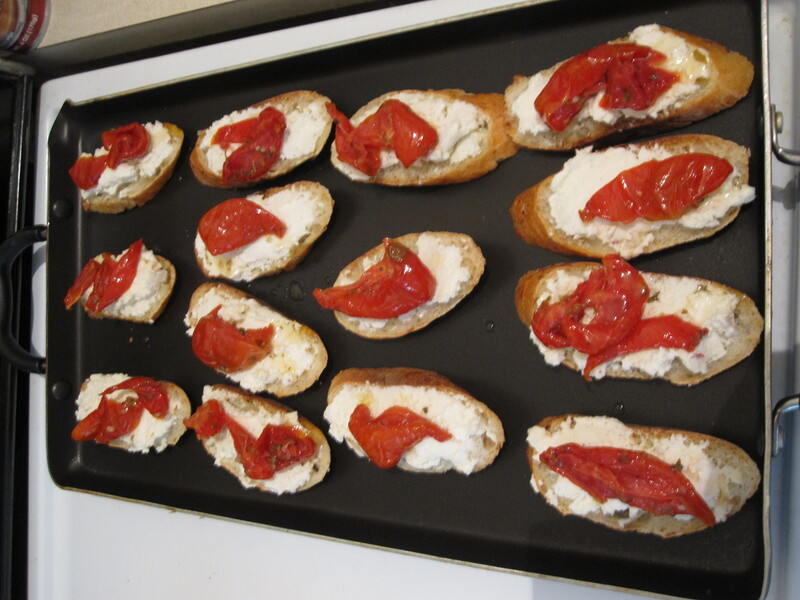 Then added store bought roasted tomato slices. I didn’t have any cash at the bakery when buying the baguette and there was a $5 minimum so I got the tomatoes and ended up just cents over that min. 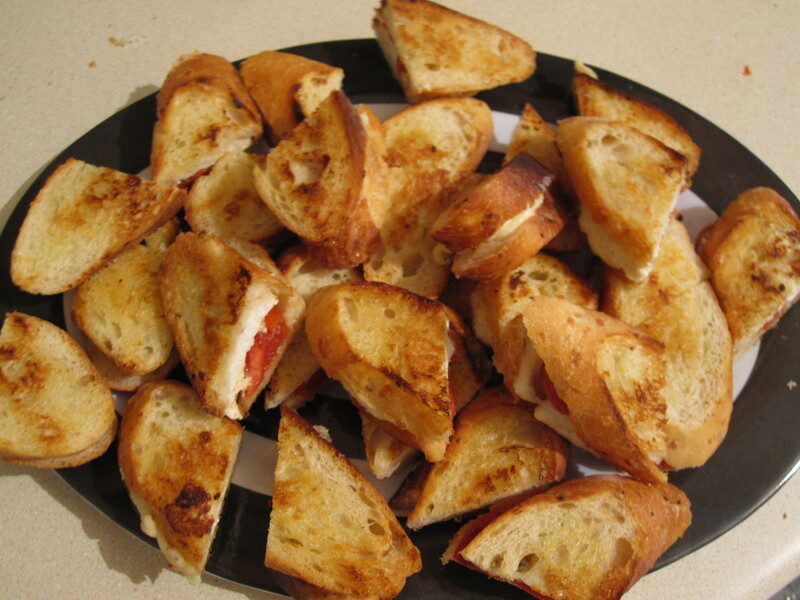 Honestly I was just going to originally bring the cut bread with the cheese spread as a dip and got the idea to use the end pieces and make a quick grilled sandwich for myself and figured why not do, well what I am showing you right now. Then I partnered everyone up and sprayed the top pieces with a bit of oil. Just keep an eye on the pieces closer to the flame as the griddle is great, but naturally is cooler out towards the corners. So rotate them around a bit. 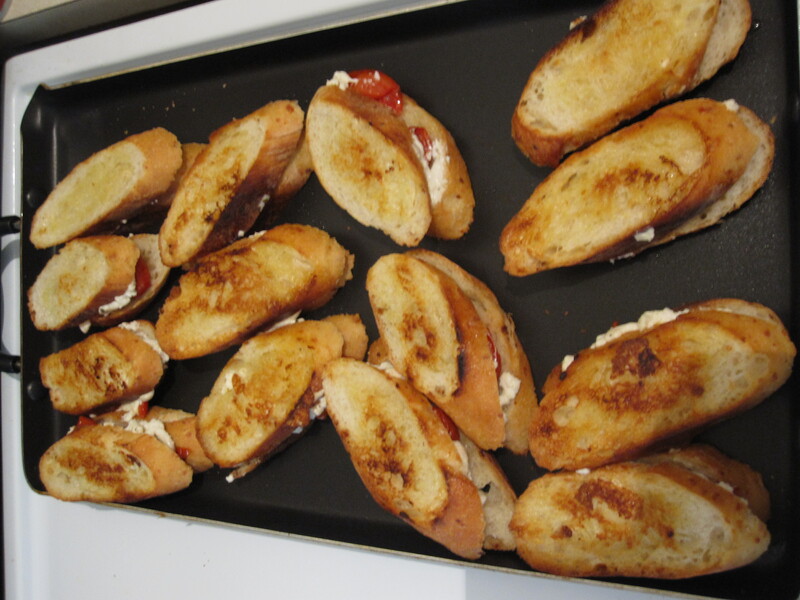 I sliced them in half to spread the pieces further at the party and they were a great hit, though I did see a guy trying to pull the sandwich apart not realizing that it was a sandwich. I just watched and let him do it. I promise that a successful mozzarella post is coming soon! I am going to go to the East End Food Co-op and get raw milk and pasteurize it myself. 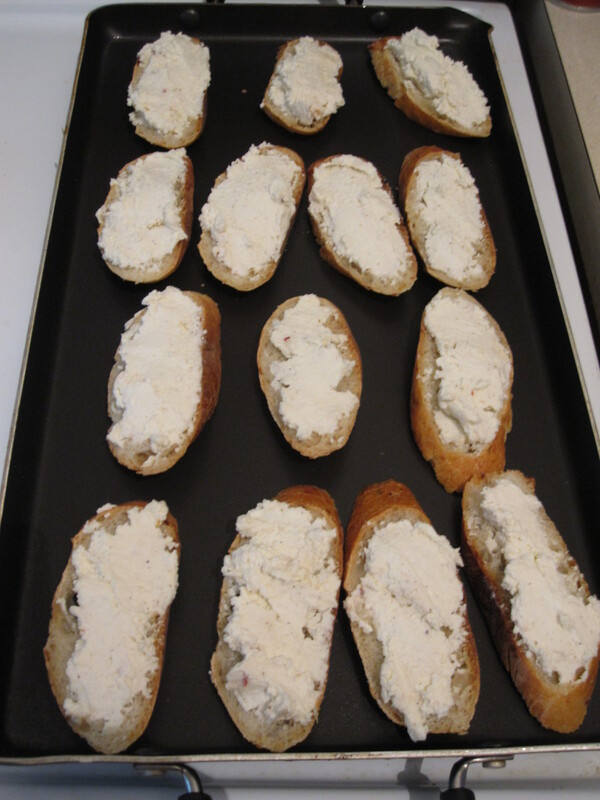 This entry was posted in Appetizers and tagged Baguette, finger sandwiches, garlic powder, grilled, mozzarella, pepper, red peper flakes, ricotta, roasted tomatoes, salt. Bookmark the permalink. Great job making the most from what you had! Anyone can follow a recipe, great cooks are one who one’s who can make great dishes from cooking challenges. Nice work “chef”! !